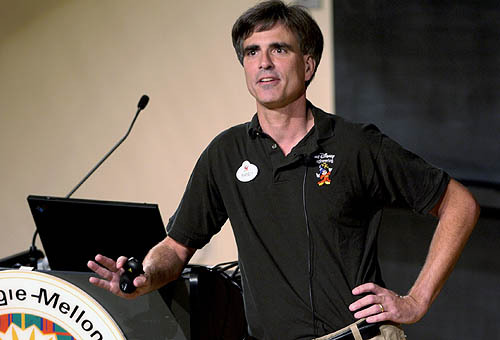 In 2007 Randy Pausch was diagnosed with pancreatic cancer and given 3-6 months to live. He taught computer science at Carnegie Mellon College in Pennsylvania and gave what has become a famous presentation called the Last Lecture in which he shared his thoughts on life. You get people to help you by telling the truth. Being earnest. I’ll take an earnest person over a hip person every day, because hip is short term. Earnest is long term. Apologize when you screw up and focus on other people, not on yourself. One of the things my sister and I did when we were younger is draw extravagant house plans. We would imagine our dream house, get out paper and pencil and sketch out impossible schematics that included multi-level indoor pools, game rooms, and movie theaters. We didn’t bother with practical details like plumbing or electricity but we made sure to include a place for all of our favorite activities. I’m not questioning your mental health. I’m talking about the many voices that we hear all around us in our world today – in this valley of the shadow of death; voices that deceive us and lead us away from God’s still waters and green pastures. Sometimes they whisper to us. Sometimes they scream at us. Jesus had a rough life here on this earth. Walking in our shoes, feeling our pain, experiencing our death – it took everything Jesus had to give. And thank God he was filling to give it or we would be hopeless cases. Given the nature of the work Jesus had to complete in three short years culminating in the terrible death he suffered, it would have been nice, I think, if after Easter – after everything had been accomplished – Jesus could have had a little time off. I think he certainly deserved it. He had 40 days of life on this earth after his resurrection. It would have been nice if Jesus could have relaxed a little – enjoyed life a bit. Maybe some fishing on the Sea of Galilee – just for fun. A little basking in the sun on the beach. Hey – let the disciples serve him for once. Maybe even enjoy a little celebrity status for a few days.